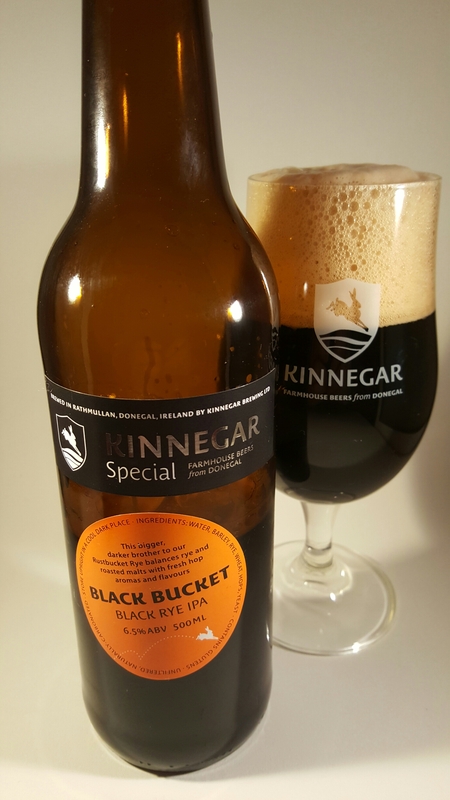 Black and White Specials from Kinnegar | Simon Says… You really should drink this! I get asked from time to time what my favourite beer is. It’s a difficult question but I can tell you what my favourite beer is at the moment! 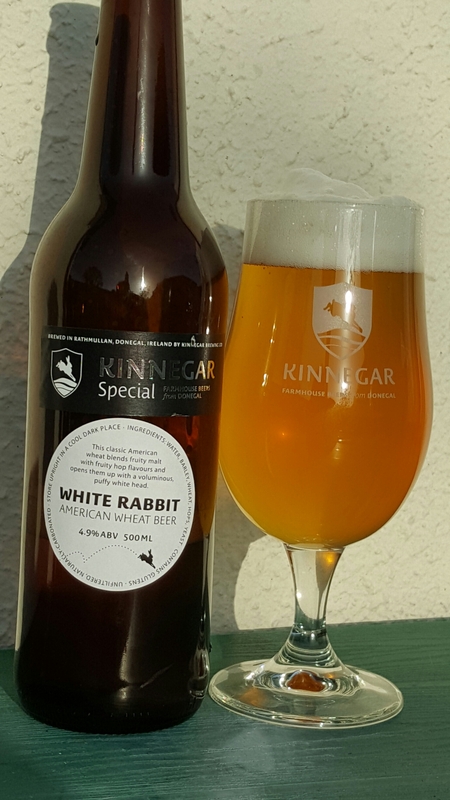 Oh no, I’ve just given away the ending… White Rabbit is an American Wheat Beer from Kinnegar that’s intended to be a Summer special. I first had it back at the start of the year at the Alltech event and I liked then and I like it even more now. It has a great white head and lovely bitter citrussy hops. It finished quite dry which leaves you wanting more. A fantastic summer beer. O’Brien’s have it in stock now. Black Bucket Black Rye IPA is another seasonal special from Kinnegar, I think this one came out last Autumn and somehow managed to escape my evil clutch until now. It won a gold medal at the recent Alltech Kentucky Derby. I spotted a few bottles on the shelf of my local Carry Out so I said I’d better give it a try. It’s a version of Kinnegar staple, Rustbucket brewed with Rye and amped up to 6.5%. It has piney grapefruit bitterness and some smokiness. It’s a serious beer and I would say it’s one to savour at the end of an evening. I had it with some Smoked Gubeen cheese and the soft sweetness of the cheese provided a pleasant contrast to the bitterness of the beer. Grab one if you find it out in the wild. Sláinte! This entry was posted in Uncategorized and tagged Beer, Donegal, IPA, irish craft breweries, Rye, wheat. Bookmark the permalink. I used to really enjoy a pint of Hartley’s XB from my old home town of Ulverston. They brewed every Thursday and the smell as we went to school was memorable. All the beer was served from wooden barrels. About 20 years ago they were taken over by Robinsons of Stockport. They still brew XB I believe but they tell me it isn’t the same. Sadly very little is brewed as it was by the traditional breweries. From my point of view (with an admittedly limited amount of knowledge) it seems like there was an era of consolidation where big breweries bought up their smaller competitors and shed any expensive/time consuming practices, perhaps sacrificing what made a beer unique.